Eggs Benedict is one of my favourite breakfast food. When I go for brunch, I will definitely order Eggs Benedict, or convince my friend to get it so that I can try. I don’t know about you, but brunch will never be the same without it. Eggs Benedict is a dish that has a beautifully poached egg and tender ham, sitting on top of an English muffin, drizzled with a magical hollandaise sauce. There are different popular variations like Eggs Royale, which substitutes salmon for the ham; Eggs Florentine; which has spinach instead of ham; and Eggs Blackstone, which comes with streaky bacon for the ham. It took me a long time to do this post as I’ve been trying out different brunch places, and I am happy to share with you my list of the best Eggs Benedict in Singapore. Started by the same team from Table 66 restaurant, Skyve Bistro is a classy bistro which is located in an old school building at Winstedt Road (formerly District 10 Bistro). It uses the Sous-Vide technique to prepare the perfect poached eggs. Trust me on this, go to Skyve Elementary Bistro & Bar for their Sous Vide Eggs Benedict ($12). One of my favourite spots for brunch, Barracks Cafe at Dempsey Hill serves simple and reasonably-priced food in a cosy space. Besides the legendary truffle fries and 7 layer pancakes, the classic Eggs Benedict ($18) – poached eggs on toasted English muffins, drizzled with hollandaise sauce – at Barracks cafe is also a must-order when you are having breakfast there. 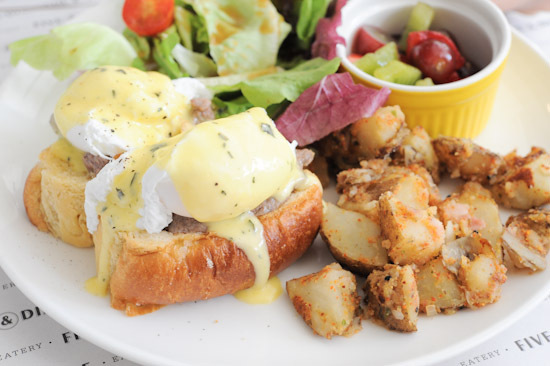 Tucked in a corner along Bukit Timah road near Coronation Plaza, Choupinette is a charming little place that serves homely comfort food, and one of the best eggs Benedict in Singapore. Easily one of the prettiest new restaurants in town, Five and Dime is located at 297 River Valley Road. It is one of my favourite new restaurants in Singapore, and I’d highly recommend you to go there for brunch. Five and Dime’s Eggs Benny ($16) is slightly different; the beautifully poached eggs come with seared beef, and a healthy serving of fresh greens. One of the latest cafes to open in the trendy Duxton Hill area, Group Therapy Cafe is a space tucked away on the 2nd storey of a reconstructed shophouse. They serve a slightly different variation of Eggs Benedict. Instead of English muffin, the poached eggs with salmon are stacked on top of a thick toast. Together with a generous helping of the hollandaise sauce, there’s no way you can resist it. Marmalade Pantry at the Stables is a great place for a good meal if you wish to escape the city for a relaxing brunch. So here’s a heads up if you are planning to go there this weekend. They have interesting choices like Steak and Eggs ($38), Chorizo Frittata ($18), but both of us know that brunch is all about Eggs Benedict ($19). Have fun! There are many people who argue that PS Cafe is overrated, serving mediocre food at exorbitant prices, but there is no denying that PS Cafe is one of the most beautiful restaurants in Singapore. When you are paying $26 for two simple poached eggs on English muffin, it is no longer just about the food; it is about the whole dining experience. Where else better than PS Cafe, one of the most popular see and be seen places in Singapore? On a lazy Sunday morning, all you need is Eggs Benny. One of the most popular brunch places in Singapore, Riders Cafe also has one of the best locations. 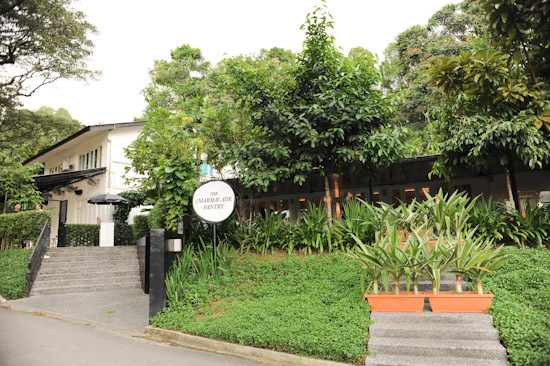 Hidden within Fairways Drive, this countryside cafe is the place to go if you want to escape from the hustle of city. It serves a Blackstone Benedict, which substitutes streaky bacon for the ham and adds a tomato slice to the poached eggs & hollandaise on rustic sourdough. Roadhouse at Dempsey is opened by the good people behind Prive, and it serves the same delicious Eggs Benedict ($16). Lightly poached eggs, honey baked ham, streaky bacon, rockets, and English muffins. Eggs Benedict. Eggs Benedict. Eggs Benedict. Eggs Benedict. Eggs Benedict. Eggs Benedict. The popular all day breakfast restaurant has recently opened a new outlet at Scotts Square, so you guys now have one more option to choose from when you are meeting your friends in Orchard Road. Let’s go straight to the eggs benedict. Unlike the typical ones, Wild Honey’s rendition ($18) comes with sauteed mushroom and prosciutto on toasted brioche. When I'm back in Singapore I'll definitely give these restaurants a go! Thanks for the recommendations. What about prive! Methinks it’s a strong contender, and personally I’ve tried the eggs benny at hatched, krish, prive, arbite and wld rank prive no.1! So glad to see this blog post! Eggs Benedict is also one of my favorite food! [",] thanks, ladyironchef. Love reading your blog. @Umasou here’s the issue im wondering too. has spruce changed management or something? sometimes last year i went there, and the egss benny just flopped. it used to be one of the best. @StevenJ From what I heard, Chef Travis Masiero has left Spruce. He’s currently at Luke’s Oyster Bar & Chop House. i loveeee the eggs benny at Maison ikkoku! I’ve tried the one at Group Therapy, and agree with you that it’s quite nice. But was disappointed to see their Hollandaise Sauce is not made from scratch, but came out of a box But still wonderful poached eggs. Hey brad! Tho this is a bit unrelated to your yummy brunch post, i would like to know where to go to have the best bread pudding in singapore! What about Epicurious? The one in Group Therapy Cafe and Skyve looks goood! On my to do list this weekend. I love your lists, keep it up! ): The Sous Vide Eggs Benedict is $16 now. Hi! I recently fell in love with Eggs Benny and went to try some of the restaurants! Do try Pique-Nique @ J-cube (they have other locations too), their Norwegian Benedict (Eggs Royale) is super duper good. No joke. I’m a big fan of eggs benedict for weekend brunch. Happened to try the eggs florentine at Antoinette mandarin gallery last weekend and was pleasantly surprised by it! Yum! I have yet to figure out why Prive isnt on this list.. Graze Restaurant is no longer at Martin Road. Prive is overrated. just an opinion. Best Eggs Benedict ever. at Singalong, Tondo. I tell you. It’s soo good. 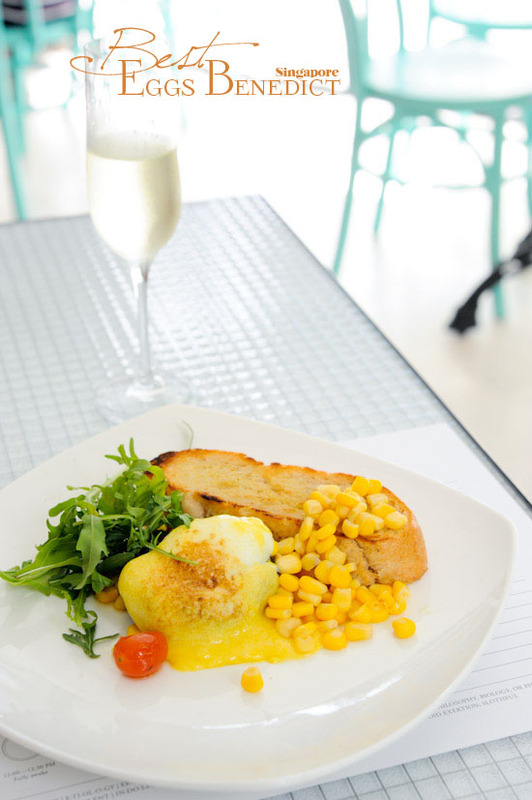 The sous vide eggs bene at Skyve are no longer the bargain they once appear to be (I.e. $12) or even $16 like an earlier poster commented and are now are rather steep $19. I must say as someone who orders Eggs Benedict at every chance…..”The Study” does them fantastically!! !